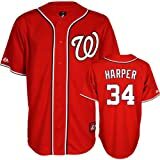 The Washington Nationals are a professional baseball team (MLB) based in Washington, D.C.. 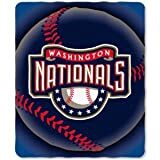 They compete in the National League (NL) East division. From 2005 to 2007, the team played in RFK Stadium; since 2008 their home stadium has been Nationals Park on South Capitol Street in Southeast D.C., near the Anacostia River. 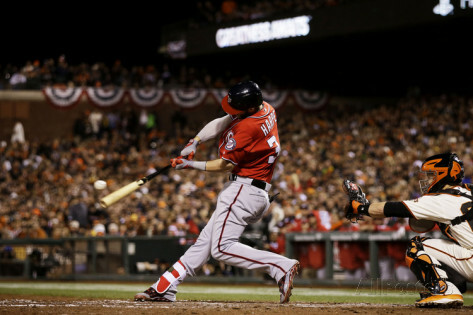 We feature Washington Nationals players of yesterday and today. Here's a link to the complete current roster. 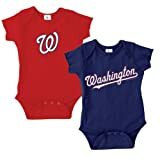 You will find a huge selection of men's and women's Washington Nationals apparel and other Washington Nationals merchandise at Ace's Baseball Store.